A dental crown is a solution to strengthening or repairing a damaged tooth. A dentist custom fits a crown to entirely cover or "cap" an existing tooth. 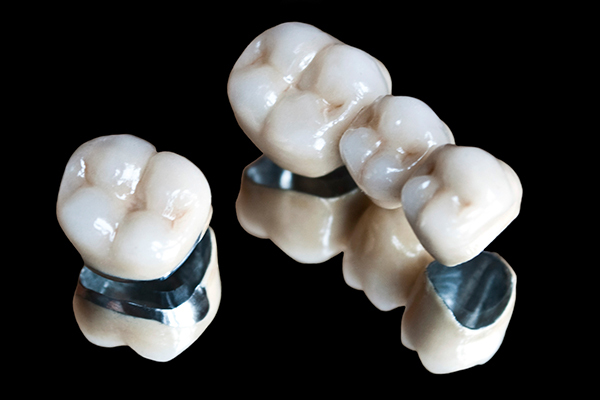 Dental crowns are made of ceramic or porcelain, improving the stability, appearance, shape and/or alignment of the tooth. Why get a dental crown? If the dentist finds that a crown is the right solution to your dental problem, it usually takes two visits for the dentist to put in a dental crown. The first dental crown appointment involves preparing and shaping the tooth, taking an impression, and placing a temporary crown. A dental lab will use the impression to build a custom crown for the patient. On the second visit, the dentist will apply the finished crown to the tooth and cement it in place. Another evaluation will be performed to check the fit and appearance of the new dental crown. At Image Dental we provide all porcelain crowns, which means that there are never any grey lines or exposed metal, usually apparent from traditional crowns. Dr. Steve Ngo of Image Dental is a Newport Beach dentist specializing in aesthetic cosmetic dentistry. Serving patients in Irvine and Orange County. Image Dental offers a complete range of dental services with specialties in dental crowns, implant dentistry, laser dentistry, and Invisalign. Schedule an appointment to see if you're a candidate for dental crowns, call us @ (949) 760-0363 or fill out our convenient online contact form.